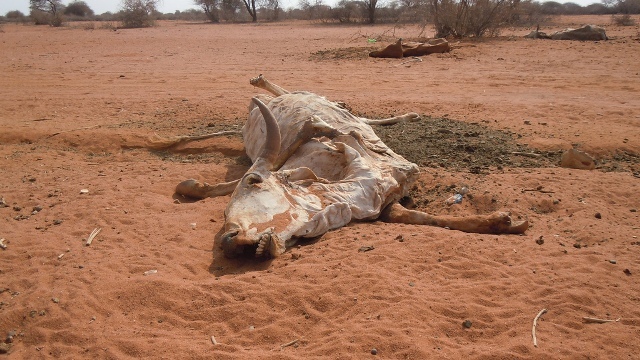 A global alarm has been sounded by several aid NGOs warning of the imminent but avoidable famine that could lead to the deaths of thousands in the Horn of Africa. The United Kingdom organization, The Department for International Development (DFID) reported that between 50,000 and 100,000 people, more than half of them children under five, died in the 2011 Horn of Africa crisis that affected Somalia, Ethiopia and Kenya. The destruction of livestock, farms, and local market systems contributed to widespread starvation. US government estimated that the greatest number of casualties were among children under the age of five years. According to reports, in the 90 days between May and July of 2011 more than 29,000 children perished. Save the Children and Oxfam, have both criticized the current emergency response systems operating in West Africa and the Sahel as seriously flawed and thus ill-equipped to manage the impending food shortage crisis.